"Where Standard is Just Not Enough..."
Sciarrino Marble, Granite, & Tile Inc.
Over 100,000 Square Feet of Slabs in Stock. Custom Installation, Fabrication, and Detailing. Specializing in CNC and Water Jet Cutting. We offer competitive pricing in today's market for custom fabricated products. We have a huge remnant yard for your small to medium size projects. 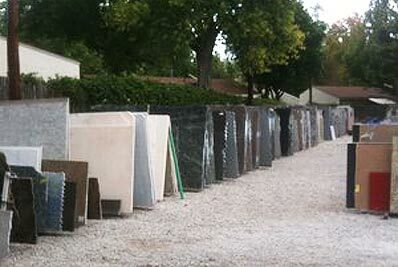 Save money by not buying a whole slab... We can accommodate jobs of all sizes!! Thanks to many satisfied customers, we are growing and we are moving! Now that dad is retired, it is time to maintain his good name. Our company is licensed, insured and bonded. We aim to provide you with 100% satisfaction. It is my pleasure to work with you!